Do you always need to have surgery? you are here: Home > Blog > Cardio > Do you always need to have surgery? First and foremost, here is my disclaimer – I am not a Doctor and this is purely anecdotal. I have had multiple surgeries for various sports/aggro life style issues over the years. Meniscus repairs on both of my knees and nerves removed from my both of my feet due to Morton’s neuromas. All of these surgeries have gone very well and were most certainly needed. I have a 10mm tear in my supraspinatus in my right shoulder that my Doctor insisted I needed surgery on and told me after I mentioned a second opinion that all I would hear was I would need the surgery. I even went so far as to schedule a rotator cuff repair surgery and at the last second I cancelled. I went on to rehab my shoulder on my own, I recommend if you are in this situation that you get the help of a good Physical Therapist (I can make recommendations). I won’t get into the particulars of my rehab but again get help from a PT, not everyone has twenty years in the health and fitness industry and I started my fitness career as a Physical Therapy aide and still to this day rely heavily upon my knowledge gained from that work experience. That being said, I eventually went on to benching 255lb., I would also not recommend the bench press to anyone with shoulder issues, but thats just me being stubborn. Either way my point is that I didn’t get the surgery and I seem to be doing pretty well. Another issue I am dealing with currently is another meniscus tear in my right knee. Often times a popliteal cyst develops with this condition. Extra synovial fluid in the knee generated due to the irritation in the knee becomes encapsulated by a coating that comes off the tendons and forms a cyst in the back of the knee. When that cyst gets big enough it starts to become uncomfortable. I went to see my Doctor about the issue and of course he recommended if it continued to have a meniscal repair. I decided to hold off. I got a cortisone shot, I had the cyst drained by another Doctor, modified my workouts, rehabbed the knee on my own (again go to a Physical Therapist for your rehab), and the issue has calmed down. I will also be getting Synvisc One shots in both knees in the very near future as preemptive strike (http://bit.ly/2DlEpLH). I am back to my martial arts training and hope to be squatting 315lb. by Spring. Is my path the right way or the wrong way, it’s neither it’s just my path. All I am suggesting in this anecdote is that you seek second opinions when facing surgery, not just from an Othopedic Doctor but a good Physical Therapist as well. When all you have is a hammer, everything look like a nail. In my experience I didn’t always go with the hammer. I hope this helps and please feel free to ask me questions about my experience and also feel free to ignore everything I have said as well. 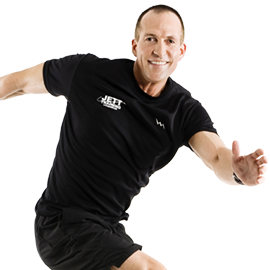 Eric Toussaint is the founder and owner of JETT Training, a Washington, DC area personal training company. 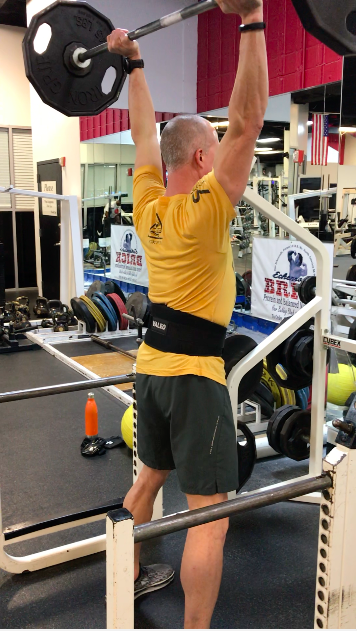 With over 15 years of personal training experience, he has a wealth of knowledge in the field of health and fitness and is an expert in High Intensity Training (HIT) with extensive knowledge of sprint, speed, and agility training, as well as plyometrics, stretching post-rehab and Pre-Post Natal Training.